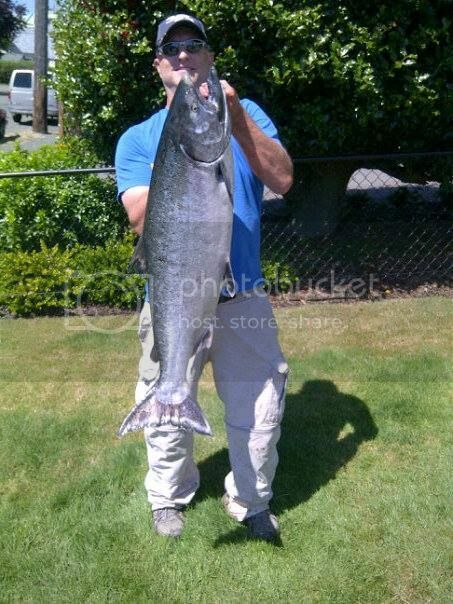 Summer is here and the fishing around Sooke is great. There are some nice springs being caught at Possession and Otter, from 10-25 pounds. Regs only allow keeping a wild chinook if less than 85cm or if hatchery born. West of Sheringham, you can keep a wild salmon larger than 85cm. The coho salmon and the pink salmon are also here. Once you get into a school of them, it is non stop action, double headers. It can be hit and miss though, one day you can't keep them off, next day the school is somewhere else. When you find the school, stick with them. You can keep 2 hatchery coho, and there seems to be quite a few mixed in. The pink salmon fishing will be getting hot and heavy soon. Sooke is in its usual summer weather pattern, calm and foggy in the morning, sunny and windy in the afternoons.